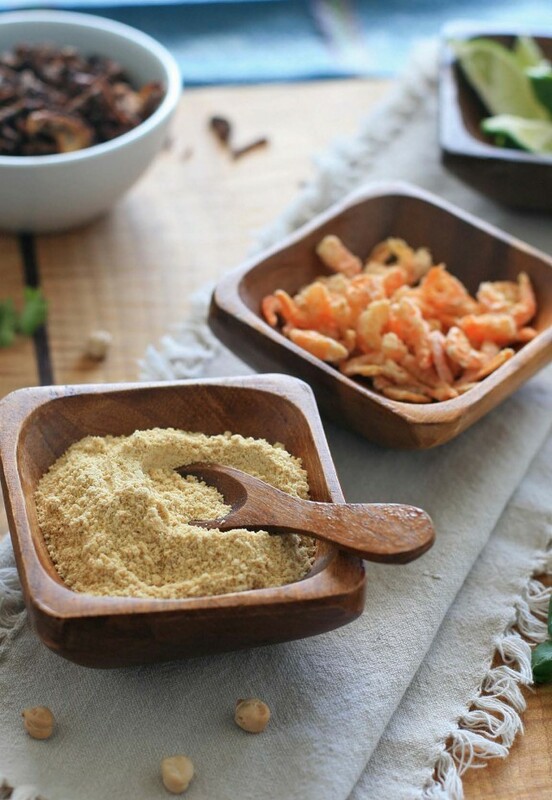 Burmese Basics week continues with this toasted chickpea flour, or besan. The Burmese use it as both a thickener for soups and sauces as well as a seasoning for salads. You should be able to find chickpea flour in an Indian market or health food store. Or if you’ve got a high-speed blender and want to save yourself a trip, feel free to process ground chickpeas until they’ve turned into a fine powder. Just make sure to break out the sifter to remove any lumps or large pieces. 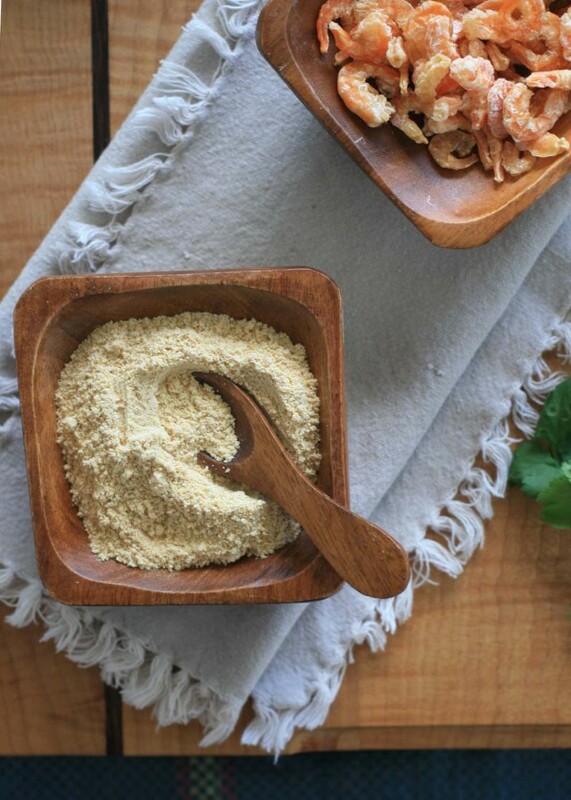 The toasted chickpea flour should only take about 10-15 minutes to make, so there’s no need to make it in huge quantities. 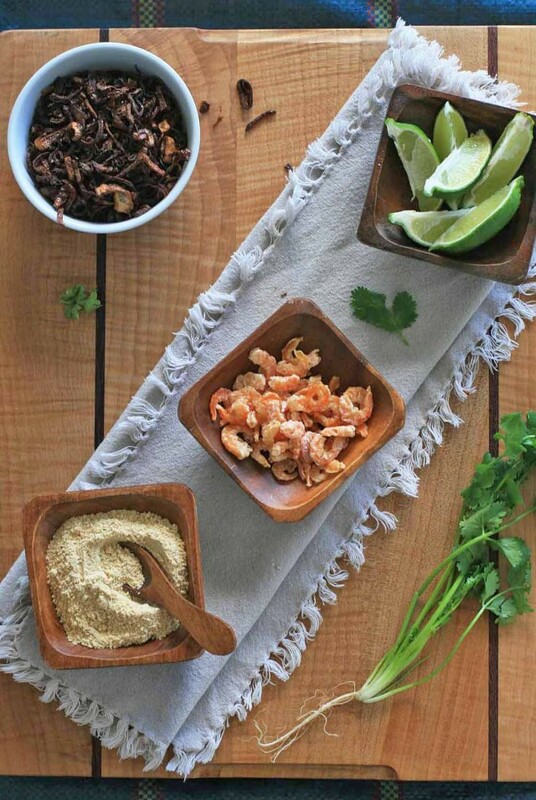 But once you taste the depth of flavor and texture it adds to salad, you just might want to. If you’re not quite sure how to use the stuff, stay tuned. I’ve got a couple recipes that use toasted chickpea flour in the pipeline. If using dry chickpeas, place in the jar of a high-speed blender. Process on high speed until fine. Sift the flour to ensure that no lumps or pieces of chickpeas remain. Place the flour in a large, heavy bottomed skillet. Place over medium heat. Cook, stirring continuously, until the flour has darkened several shades to a light tan color. Remove from heat and continue stirring for another minute or two to prevent scorching (the pan will still be hot).